“What are you going to do with these?” asked the farm-stand man as I was fixating on these 3 gorgeous golden tomatoes. This question always flusters me… I should have an answer, but truthfully, I buy things on a whim and usually decide what to make later. And in this case, these tomatoes were so spectacular that knew I wasn’t going to “do” much. “Um… I’m probably just going to slice and eat them…” He looked at me with a huge grin as if I had just given the right answer. I could tell he was pleased that his tomatoes would be heading to a good home. Then he told me they would be perfect tomorrow, but only tomorrow. This is what I love about summer. 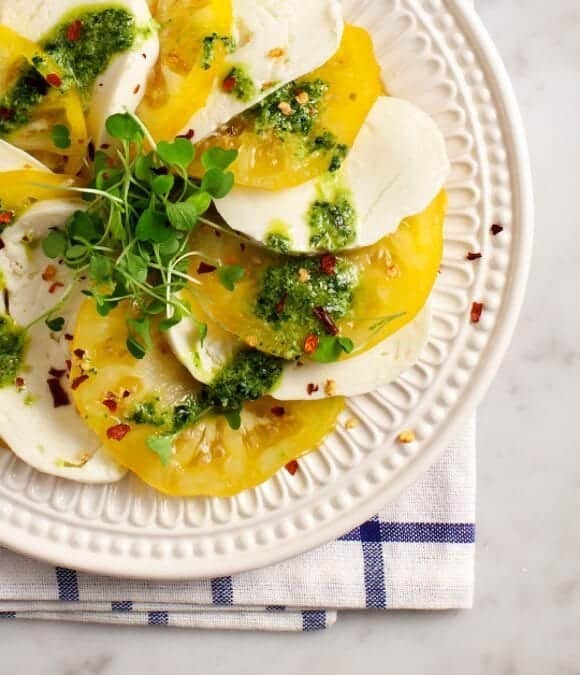 Here’s the plate of beautiful sliced tomatoes that we enjoyed last Sunday night… elevated (just slightly) with slices of fresh mozzarella and a bright mint pesto. A little pesto goes a long way – save the extra for simple meals throughout the week. If you make this tag #loveandlemons or @loveandlemons on Instagram! Slice tomatoes and cheese and arrange on a plate. Season with salt and pepper, then drizzle pesto over the top. vegan option: Skip the cheese and just drizzle tomatoes with pesto. Or try sliced avocado in place of the cheese. The yellow and green colors are stunning here. I love this mint pest too! thanks! I was worried it would look plain w/ red, but sometimes less is more! 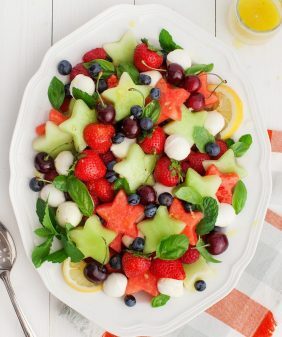 This looks absolutely amazing, so cheerful! Beautiful pictures and those tomatoes look to die for! Yes! Just slicing and eating tomatoes is one of my favorite summer activities. 🙂 I love the idea of a mint pesto with this classic caprese! Aww that man at the farmers market sounds so nice! I love when they tell you exactly what you need to know! I’m all about simple this summer as well. Definitely trying this! SO gorgeous! LOVE the yellow maters 🙂 Mint + basil is one of my very favorite combinations this Summer. This is lovely—pinned! All I have to say is: GENIUS. And the yellow is so surprising and beautiful. I love this, it is my kind of food!!! Mint Pesto, YUM! I can’t wait to try this! I just received a bunch of fresh mint and basil in my CSA box. 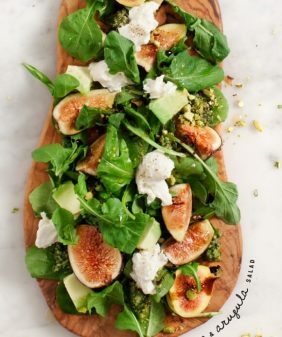 I should try making this pesto! Just need to get my hands on some good tomatoes (a challenge here in Alaska)! 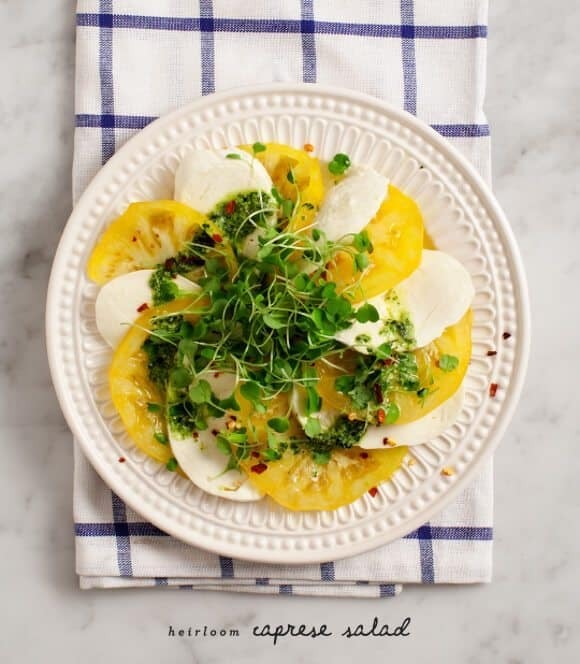 This is hands down the most gorgeous caprese. If I had to sum summer up in one dish, it’s this one! yum! I love caprese salad and you’re right – it’s best to not do much to them, especially when you have gorgeous tomatoes like these involved. Beautiful photos, per usual. tomatoes look sooo gorgeous..i have a tendency to get things esp produce and cherries lately on a whim. Everything you make is just amazingly, luxuriously gorgeous. I don’t know what I want to do more – eat it or just keep staring at it! These tomatoes are gorgeous. 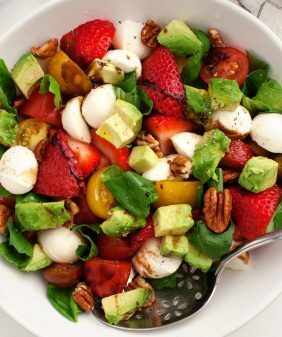 Love the salad! 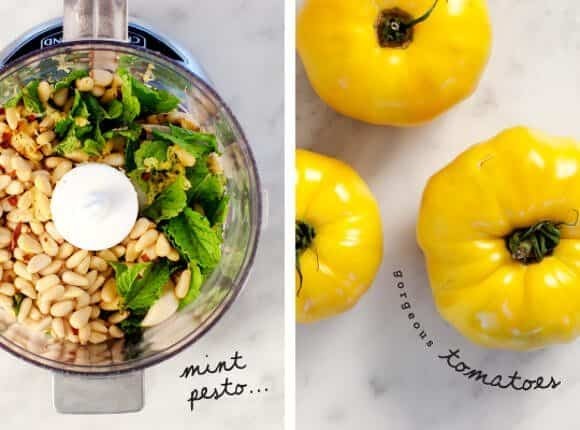 I’ve never tried a mint pesto before, I bet it is wonderful on a caprese. Your photos are just stunning, great job! 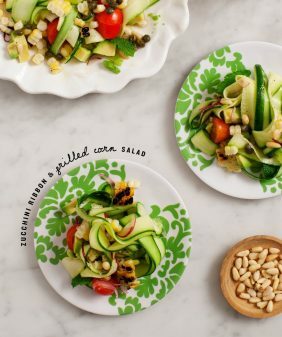 the mint pesto sounds like a wonderful addition! gotta love the farmer’s market 🙂 they are always so nice and the beautiful produce you can get always makes me happy. 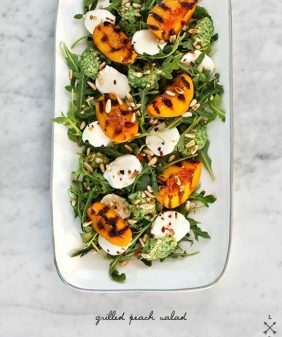 I just picked up some lovely heirloom tomatoes yesterday, and they would be fantastic in this recipe! Thanks for sharing! Wowww this sounds truly delicious! 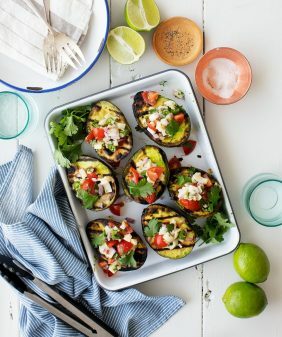 All your recipes look so amazing! I made this for dinner last night for my meat-and-potatoes husband. It was so delicious! He especially loved the pesto and said he’d have it again some time. Thanks! friendly? My web site looks weird when viewing from myy iphone. bee able to fix this issue. If you have any suggestions, please share. Awesome recipe. 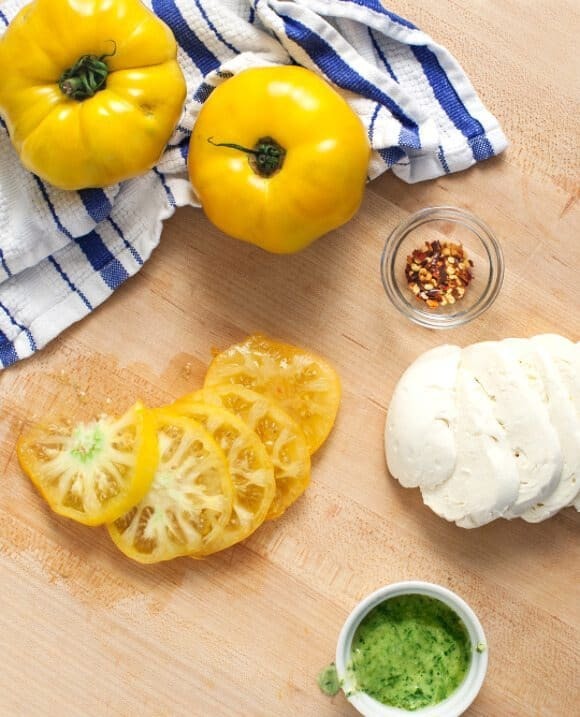 I love your combo of pesto w. the basic caprese salad. I will certainly try this. Really yummy !